Agyness Deyn was once deemed ‘the face of a generation’. But, after retiring from modelling in 2012, she has been building a name for herself as an actress and this week, Deyn’s latest film titled Her Smell (written and directed by Alex Ross Perry) is set for release. 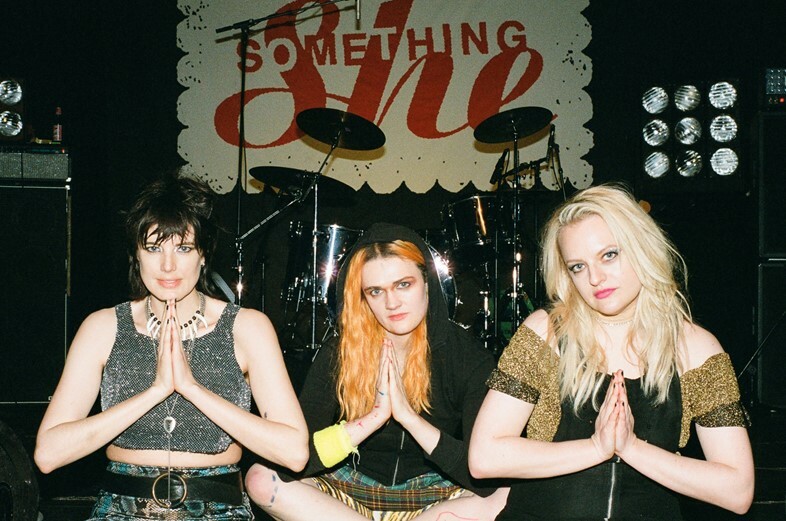 The drama stars Elisabeth Moss as Becky Something, a troubled, drug-addicted singer in all-female punk band Something She. Set in the 1990s, Her Smell follows the band’s rise and fall in popularity – and subsequent attempts at fame – all dictated by Becky’s manic behaviour. Deyn plays Marielle Hell, the group’s bassist and Becky’s best friend, holding her own next to Moss’ strong performance. Taking on this role demanded a deep exploration of character identity, and it was here that Deyn channelled her personal experiences of growing up in Manchester. Here, she speaks candidly to AnOther about her acting career and how she prepared for a part opposite one of Hollywood’s most revered figures. “I’m from the north of England: a very working-class city. In some ways, I don’t think I was around people who actually did jobs in the arts – who were actors, or musicians. A job like that wasn’t anything realistic or obtainable. I loved movies, and in some ways, it was a great escape for me watching them. But I never thought I could do it as a job. It was after I was spotted as a model and exposed to more things, that I thought I would love to learn the craft of acting. It kind of just happened organically in a lot of ways. I got asked to do short films. The more and more that I did, the more I loved it and wanted to learn. Just over the past eight years or something, I’ve tried to grow in every single project that I’ve done. And I’ve been blessed working with directors and actors who’ve been so generous with their creativity, their methods that they’ve used for work and also people having faith in me as an actor. “I remember working with Terence Davies when I did Sunset Song, and he didn’t know that I’d come from a modelling background and someone said, ‘Oh I guess you’re an actor now, Agyness’. And Terence was like, ‘What do you mean? Of course, she’s an actress’. And it was just this really amazing moment where I was like, ‘oh yeah, I suppose this is what I’m doing as a job now’. Shooting Her Smell, the director, Alex [Ross Perry] was amazing. He would just run with ideas. And obviously having Lizzie Moss and Gayle Rankin as my partners in crime in the band was wonderful. We all learned to play the instruments from scratch. I learned the bass, Lizzie learned the lead guitar, and Gayle learned the drums. It was a wonderful bonding experience, and a scary but exciting creative project to do. Alex split the filming into five acts and we did an act per week. The first day we read it through and rehearsed. And then the other three or four days, we filmed that act and it was done like a play. It was improvisation combined with the wonderful, bonkers and sad script. It’s been a great project to be part of because working with these women was so great but on a personal level, it pushed me to new limits. 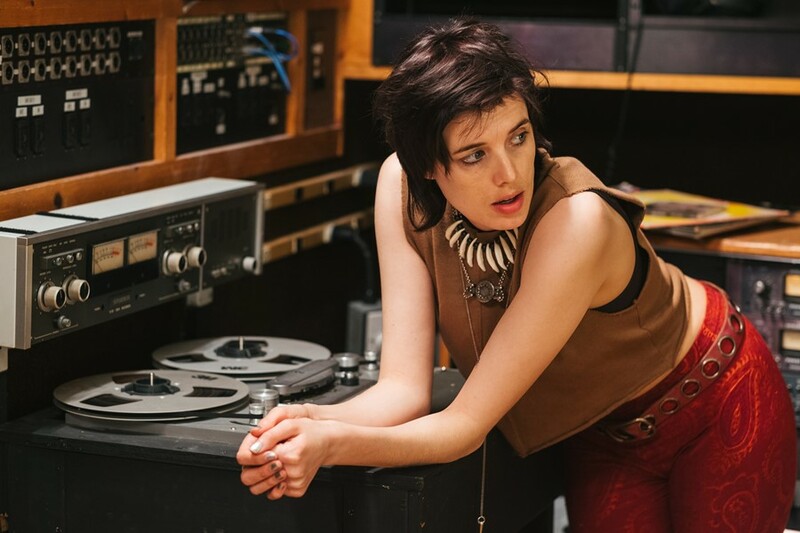 “For the role of Marielle, I think that loving music as a kid and growing up in Manchester helped me a lot, because the film is set in the 1990s and it’s about this girl punk band. I grew up listening to The Slits and The Raincoats. They weren’t from the 90s – they were from the late 1970s – but it was that same energy. I was obsessed with all these bands growing up. I also had friends in bands. I was a little punk. I dressed like a punk. I knew that world. I also took inspiration from Oasis and The Happy Mondays and The Stone Roses: their carefree, boisterous, ‘anything’s possible’ energy. I definitely tried to be like: ‘Who is this person in me?’ But it wasn’t working at first, so I had to approach it in a different way. I thought, ‘I should just play her as a boy. I should play her as a young member of Oasis or a member of the Happy Mondays. I have to have more of masculine energy about it.’ And then it worked. Her Smell opens in US cinemas from today.